Remember women of Australia how Abbott’s reward to you as Minister for Women was to give you a $550 bonus reduction in your electricity prices so you could buy a top of the line iron to smooth your husband’s shirts! 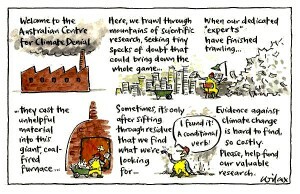 Well, I hope you all remain climate sceptics and have not added to your household either air conditioning or solar panels. As you all “know” the earth is cooling not heating up so you might need that air-conditioner and neither you need that set of solar panels on your roof. Because with the cost of electricity plummeting and the earth cooling such things will be unnecessary in the Australian household. To encourage this behaviour, the electricity authorities have come up with a way to reward those of you who believed prices would plummet and climate would get cooler. <sarcastic sigh> Now while Murdoch’s papers, are notorious for getting things slightly out of kilter, it would seem there is a new agenda for electricity pricing. One that you “believers of climate change” and “disbelievers in the Minister for Women’s generosity” may find yourself at odds. Oddly this article from Murdock press is supported by the AEMC government document I’ve attached herein. Corporate avoidance speaks for “we are not here to provide a service equitably for the community“. We are not the guilty party we are transferring guilt for our decision to the consumer. The monkey is on your back now. You (not us) are the party guilty for the result, and we are absolved of all responsibility for our decision! How is their approach equitable? 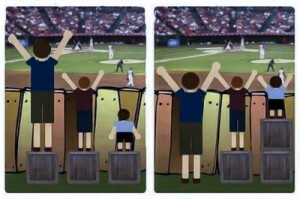 If you have a problem with your definition of “equity”, have a look at the image alongside here.